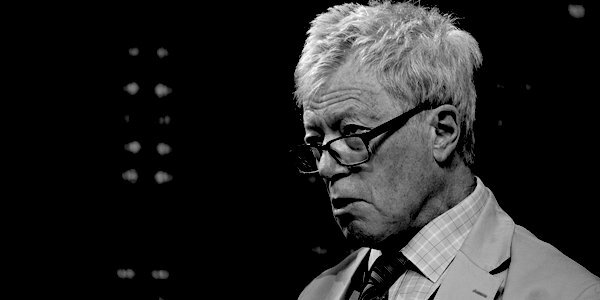 Sir Roger Scruton, philosopher, professor, aesthete, lover of England and her traditions, fox hunter and church organist, is also that rare thing: a thinking conservative. His erudite essays and more than fifty books are a treasure trove for any who are interested in the defence of Western culture. Unfortunately, he belongs to a party which has never been big on thinking or principle. These statements and others have been on Sir Roger’s website (which should be required reading) for more than a year. Why have they come under attack only now? Probably because progressives shied away from reading a robust intellectual defence of cultural conservatism until now. It was something rather prosaic which opened the door to the attacks. At the weekend Housing Secretary James Brokenshire appointed Sir Roger to lead a new government ‘Building Better, Building Beautiful’ commission concerned with building ‘beautiful’ homes. Given his interests in aesthetics, the nature of the countryside and finding solutions to modern problems which fit in with traditional structures, this would seem an inspired choice. Getting a public intellectual of Sir Roger’s standing to fill the unpaid post should have been a matter for congratulation. Enter the SJWs closely followed by their allies in the Labour Party. Following a Buzzfeed investigation, Labour MPs have called on Mrs May to sack Sir Roger. This is nothing to do with his views on aesthetics, the countryside or housing needs. Apparently, it is his views on homosexuality, Islam and the Jews which make him unfit to take part in deciding Britain’s domestic architectural future. Sir Roger has expressed views. In 2007 in a Daily Telegraph article he wrote concerning homosexual adoption: ‘Every now and then we wake up to the fact that, although homosexuality has been normalised, it is not normal. Whilst truth may be of importance to Sir Roger, it matters little to those who wish to create a furore and bring down a political opponent and at the same time draw attention away from their own problems with widespread anti-Semitism amongst the progressive Left. Sir Roger supports Hungarian Prime Minister Viktor Orban’s determination to preserve Hungarian culture and society against efforts fundamentally to alter the nature of the country. George Soros, who has been at the forefront of efforts to integrate Hungary into an increasingly globalist and anti-nation state EU, is a Jew and it has become common on the Left for any criticism of billionaire Soros to be condemned as anti-Semitic. Although disagreeing with Soros, Sir Roger spoke out against Orban’s decision to move against the Soros-funded Central European University. He did this on the grounds of intellectual freedom, something progressives fail to understand as they tend to allow it only for themselves. Sadly, Sir Roger is an utter villain to the progressive Left. Any who stray from progressive orthodoxy are to be hounded until they recant and apologise. It is highly doubtful that Sir Roger will apologise for saying what he thinks is true. Especially when the call comes from an SJW snowflake website and a party mired in genuine cases of anti-Semitism amongst its more influential members. The real point of weakness is found when we consider the Conservative party. They have an abysmal record in conserving anything concerning traditional Western civilisation, and are ever ready to bow the knee to progressive causes. If the May government gives in to this, they will have forfeited any claim to the support of social conservatives and any who value fairness and freedom of speech. Next articleReaders’ comments: Devious, deceitful . . . discard her!